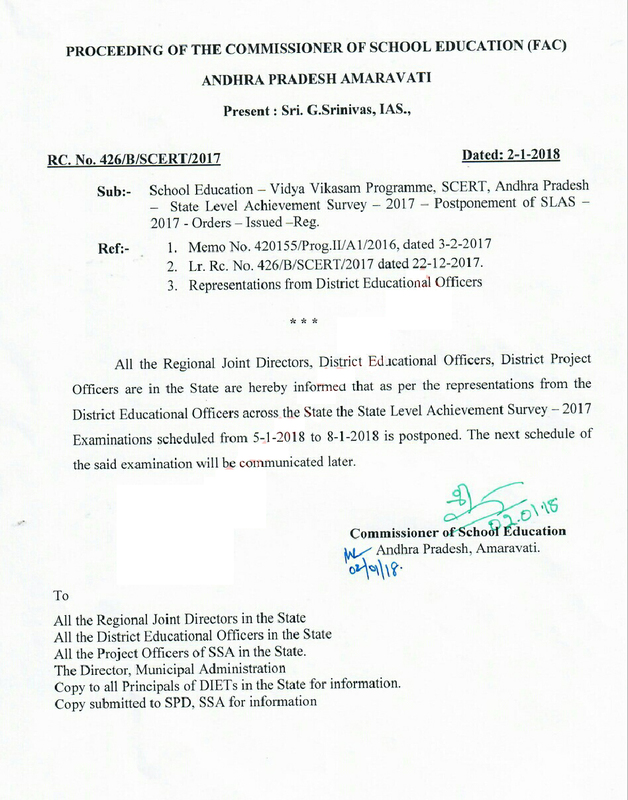 Sub:- School Education - Vidya Vikasam Programme, SCERT, Andhra Pradesh - State Level Achievement Survey - 2017 Postponement of SLAS - 2017 - Orders - Issued -Reg. 2. Lr. Rc. No. 426/B/SCERT/2017 dated 22-12-2017. 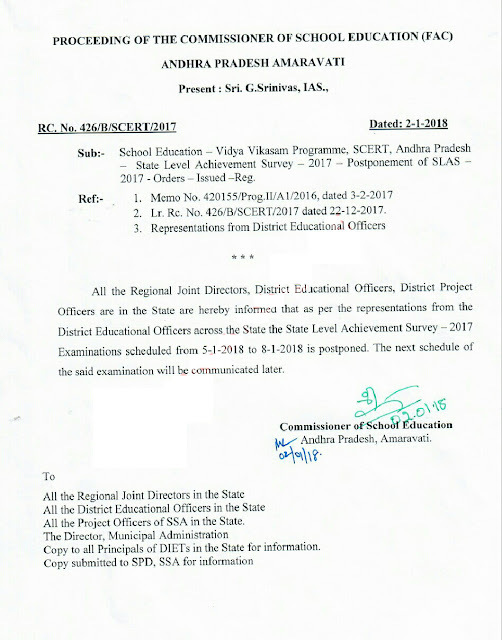 All the Regional Joint Directors, District Educational Officers, Officers are in the State are hereby informed that as per the representations from the District Educational Officers across the State the State Level Achievement Survey -2017 Examinations scheduled from 5-1-2018 to 8-1-2018 is postponed. The next schedule of the said examination will be communicated later.